Murray Hill Dental offers a wide range of pediatric dental services for children and teenagers in Westerville & West Columbus. It is important for a child to feel good about oral health as a healthy smile contributes to good overall health and self-esteem. The first visit to our Westerville or West Columbus offices will be a memorable one as we treat your child like they are the most important person in the office...because they are! As children progress through the different stages of life, their teeth will also go through many stages. It is very important to schedule regular pediatric dental check ups in order to anticipate each change and ensure continued development. Dr. Brown is focused on encouraging the habit of life-long dental health, especially starting from a young age. 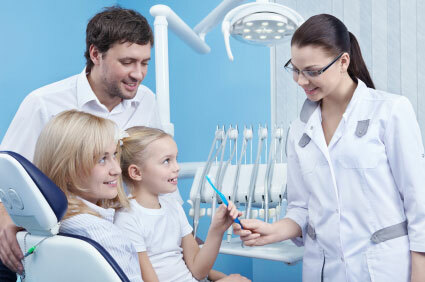 Find out more about what makes us a great pediatric dentist on our blog. Please schedule online using the link below if you are interested in a pediatric dental appointment for your child.